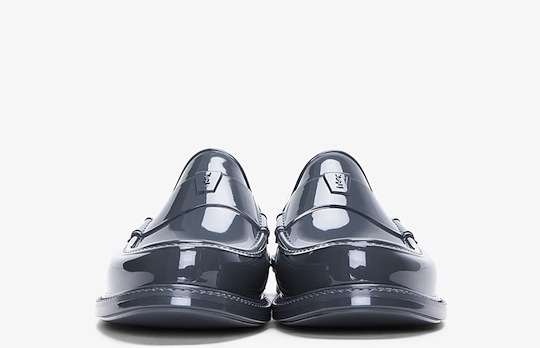 A truly interesting offering from the house of YSL, these ‘Kennedy Show’ loafers are actually rubberized. 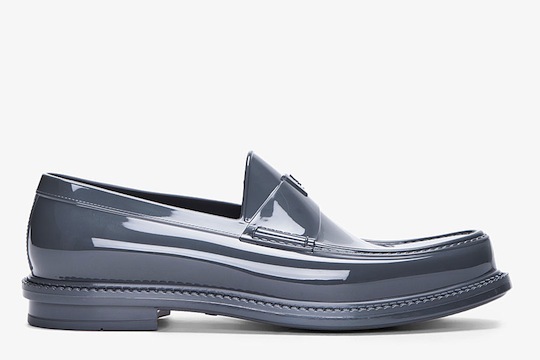 Although they might prove a little hot for summer, they’d be a great conversation piece should you ever be caught in the rain while wearing them. 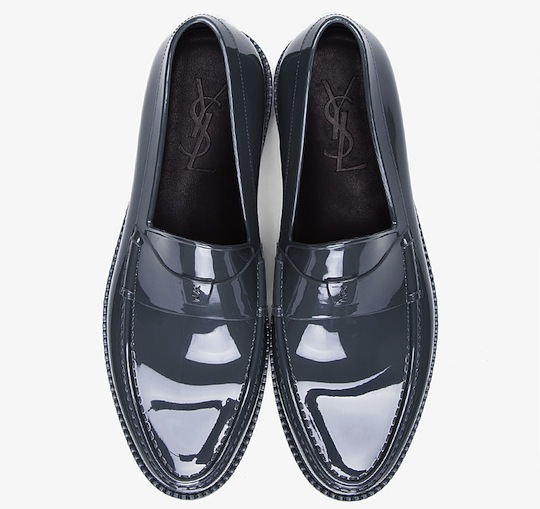 This entry was posted in Footwear and tagged Kennedy Show Loafer, Yves Saint Laurent. Bookmark the permalink.